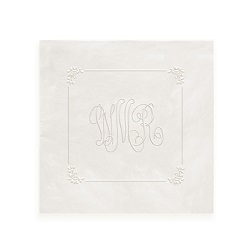 The Classic Monogram Napkin - Embossed features our most popular monogram crisply embossed into our sturdy, 3-ply napkins. 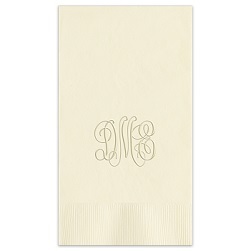 Select from a variety of napkin colors to match your party decor. 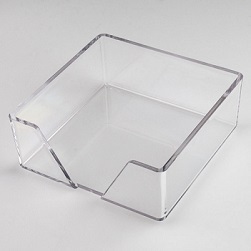 Available in square or diamond format. 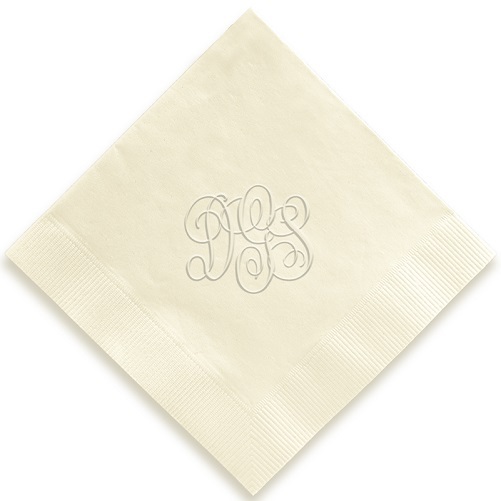 Design your Monogrammed Cocktail Beverage Napkin today.